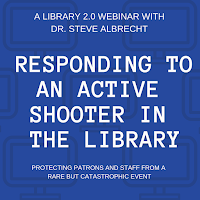 "Active Shooter / Armed Attackers: Stopping Them Before They Get To Your Campus"
A 60-minute webinar (live and recorded) in a new PD.live series with Dr. Steve Albrecht, held on Thursday, April 25th, 2019, at 4:00 pm Eastern Standard Time. DESCRIPTION: Cases of school violence involving armed perpetrators are both rare and catastrophic. Despite what the news media says, these events are not predictable, but they can be prevented, using threat assessment protocols. Recent attacks have heightened the awareness of the need for all school employees to follow the suggested DHS response: Run-Hide-Fight. 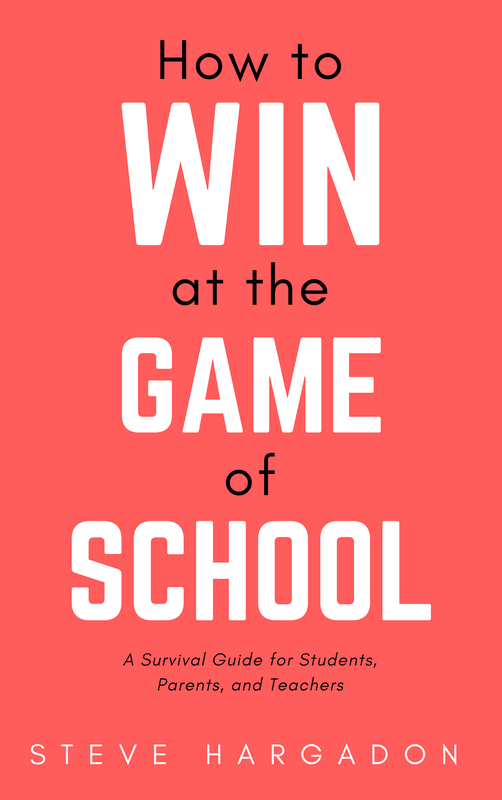 Since all school staff are in charge of their own security, they need to know what to do, what not to do, and how to protect themselves, their co-workers, and their students before, during, and these life-changing events. A brief history of school-based events and lessons learned from recent US Secret Service and FBI reports. Understanding the motives and behaviors of school violence perpetrators. Recognizing “information leakage” warning signs and knowing who, why, and when to report what you see or hear. How to deal with social media-based threats, bomb threats, and publicized mass attack warnings/hoaxes. Making cost-effective security changes to your campus or District offices. The DHS Run-Hide-Fight protocol and understanding the intensity of the police response. The need for mass communication and evacuation strategies and post-incident business continuity and mental health management. COST: $75/person - includes access to the recording and access to the attendee discussion forum. 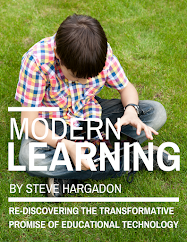 (For group or other purchases, to submit a purchase order, or for any registration difficulties or questions, emailsteve@learningrevolution.com. TO REGISTER: Click on the JOIN WEBINAR button HERE. You will first need to be a member of PD.live (free) and be logged in. Please click "Sign Up" on the top right and we'll get you approved quickly. As a trainer, speaker, author, and consultant, Dr. Steve Albrechtis internationally known for his expertise in high-risk HR issues. He specializes in threat assessment, threat management, Threat Assessment Team training, and workplace and school violence awareness and crisis response programs for private-sector firms, municipal government, K-12 schools, colleges and universities, and libraries. In 1994, Dr. Albrecht co-wrote Ticking Bombs: Defusing Violence in the Workplace, one of the first business books on workplace violence. Besides his work as a conference presenter and keynote speaker, he appears in the media and on the Internet, as a source on workplace violence, security, and crime. His 18 business and police books include Library Security; Tough Training Topics; Added Value Negotiating; Service, Service, Service! ; and Fear and Violence on the Job. In 1999, Steve retired from the San Diego Police Department, where he had worked since 1984, both as a full-time officer and later as a reserve sergeant, reserve training officer, and a domestic violence investigator. He holds a doctoral degree in Business Administration (D.B.A. ), an M.A. in Security Management, a B.A. in English, and a B.S. in Psychology. He is board certified in HR, security management, employee coaching, and threat assessment. He holds the designation “Certified Threat Manager” (CTM) from the Association of Threat Assessment Professionals (ATAP). 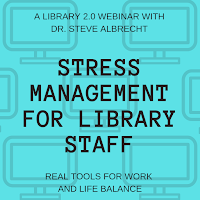 "STRESS MANAGEMENT FOR LIBRARY STAFF: REAL TOOLS FOR WORK AND LIFE BALANCE"
A 60-minute webinar recorded in a special Library 2.0 series with Dr. Steve Albrecht, held on Thursday, March 21st, 2019, at 4:00 pm Eastern Daylight Time. In these interesting times, stress certainly can affect us in a lot of ways, both personally and professionally. Whether it’s from stress on or off the job, there is no shortage of situations, people, or conflicts that can attack your mind and body from the inside out. This 60-minute webinar session will provide you with strategies to help you cope with what’s on your “Bug List.” Using the BREADS stress management tool, Dr. Steve Albrecht will discuss getting better balance, boundaries, and control. The key to realistic stress management is your use of theBREADS model in your daily life: Breathing | Relaxation | Exercise | Attitude | Diet | Sleep. The last part of this program will include a quick and easy relaxation exercise led by Steve. Audience: All library and school employees. Learning Objectives: Is All Stress Bad For You? | Stress and Your Body | The Business Impact of Stress | Making Your Bug List | The Personal Side of Stress | The List of Seven Choices | Mind + Body Reactions | Cutting Out Toxic People | BREADS | A Focused Relaxation Technique. A participant in Steve's Coaching Webinar: "It truly was a great session." 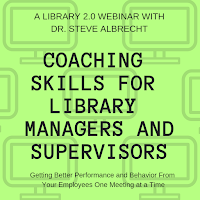 DR. STEVE ALBRECHT: Dr. Steve Albrecht has taught his half and full-day workshops for thousands of library managers, supervisors, and employees around the country. He is best known for his ALA 2015 book, Library Security, and his programs on library safety and security. COST: $74/person - includes access to the live session as well as the recording, access to the attendee discussion forum, and a certificate of attendance. (For group or other purchases, to submit a purchase order, or for any registration difficulties or questions, email steve@learningrevolution.com. We invite all library professionals, employers, LIS students, and educators to participate in this event. The call for proposals opens on Friday, March 1st. Anne Neville-Bonilla is director of the California Research Bureau where she and her team develop non-partisan, independent research for the Governor and Legislature. As part of the California State Library’s Executive team, she is co-director a Knight Foundation grant to support open data literacy in public libraries and communities and serves on the board of CENIC, California’s research and education broadband network. Previously, she directed the State Broadband Initiative at the National Telecommunications & Information Administration (NTIA) at the US Department of Commerce. At NTIA, she was responsible for the National Broadband Map, the largest open dataset of its kind, and $300M in grants to support the digital economy. Before this she was a Global Leadership Fellow at the World Economic Forum in Geneva, Switzerland, and prior to this served as Assistant Secretary for Economic Development and Technology for the State of California. Anne served as a Senate Fellow and as an AmeriCorps*VISTA volunteer, founding a community technology training center in San Diego. Anne holds an MPA from the University of Southern California and a BA (Hons) from the University of North Carolina at Chapel Hill. 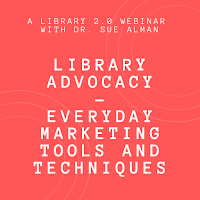 Please consider joining us for this special Library 2.0 75-minute webinar (live and recorded) with Dr. Sue Alman, this Thursday, February 21st, 2019, at 4:00 pm Eastern Standard Time. You do not need to attend the live session to purchase this webinar, but doing so allows you to participate in the Q+A. OVERVIEW: Library marketing can be effective without the expense of hiring a marketing and PR firm. Promoting the library can be a fun and productive task for all employees and library users IF time is spent on developing a communication plan and providing content for print materials, social media, and word-of-mouth interactions. In this Webinar, you will learn some ways to advocate your library's resources and services for your constituencies of users, non-users, and administrators/funders. 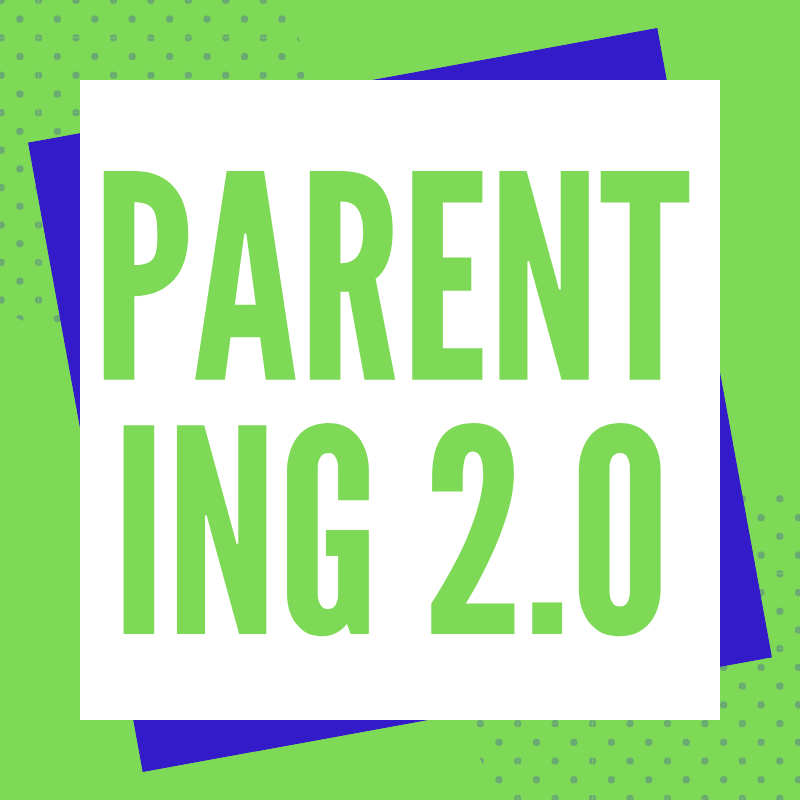 This speed-marketing session will provide an overview of the need to have a communications plan for sending your messages to the intended audiences through a variety of mediums, and WOM (Word-of-Mouth) marketing, social media, and print formats will be discussed. At the end of the session, participants will have ideas about ways to create a library buzz online, f2f, and inside/outside the library. AUDIENCE: This program is suited to all levels of library staff and administrators who interact with users, non-users, and internal and external funders. However, it is the responsibility of organizational leaders to develop the communication strategies and messages that others will deliver to the constituencies. TO REGISTER: Click HERE and then click on the "JOIN WEBINAR" button to the top right. 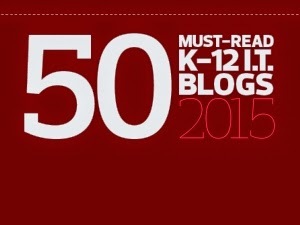 You will first need to be a member of Library 2.0 (free) and be logged in. Please click "Sign Up" on the top right and we'll get you approved quickly. To submit a purchase order, or with any registration difficulties, questions, or interest in group rates, contact steve@learningrevolution.com. Understand how to teach staff to be frontline advocates for your branch library. Create a bi-weekly or monthly message(s) to promote your library and its resources/services to the target audience(s).